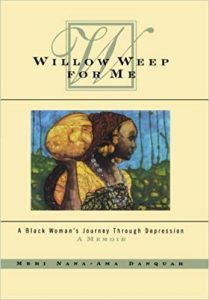 The first book to focus on black women and depression, seen through the personal journey of a young black woman’s descent into despair. She moves back to the city of her childhood where she befriends two black women who are also suffering from depression. With their support she confronts the traumatic childhood events―sexual abuse, neglect, and loss―that lie beneath her grief. This is not simply a memoir about depression, it is a powerful meditation on courage and a litany for survival. `I have,” Danquah notes early in this straightforward, moving memoir, “been addicted to despair.” For much of her life she has veered between bouts of mild depression and periods of extreme depression. She charts the costs of this lifelong battle: disrupted relationships, broken friendships, several promising careers disrupted, a college education left incomplete. 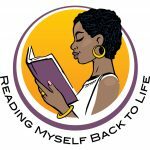 While there is no shortage of books describing long struggles with depression, Danquah’is one of the first works to focus on the needs and experiences of black women suffering from clinical depression. As Danquah points out, black women suffer from the additional burden of being viewed in many quarters as tough, enduring figures, those who give solace but who rarely require it themselves. She also discusses her therapy with frankness and describes her discoveries about the grim childhood origins of her depression. This is likely to prove of special help to black women working to come to terms with serious depression.